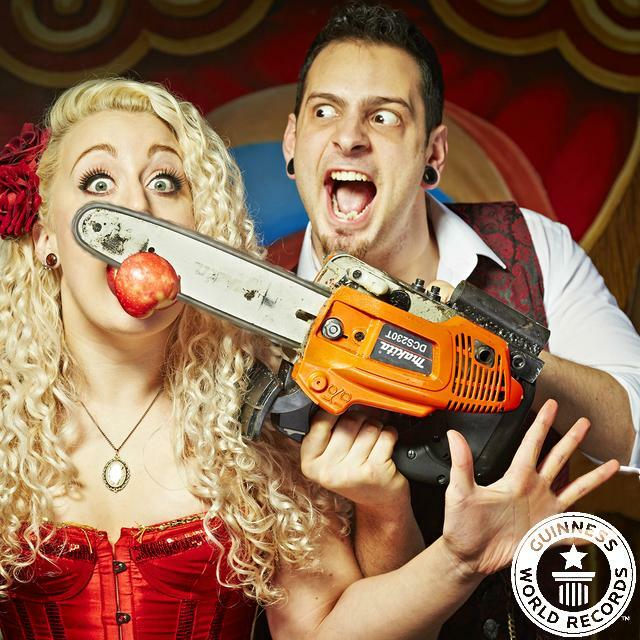 Johnny Strange is multiple Guinness World Record holder based in London, who travels throughout the UK and the rest of Europe performing jaw dropping stunts. 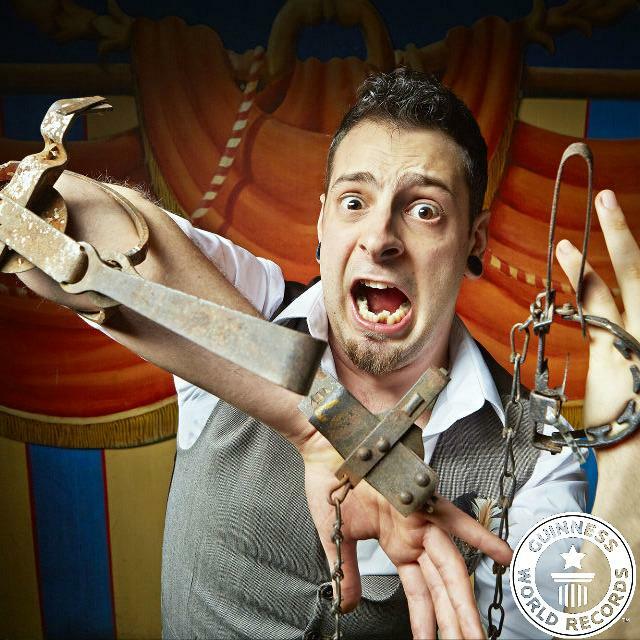 His shows are family friendly and packed with humour, suspense and plenty of audience participation. Johnny’s shows are suitable for the young and old, both adults and children, and everyone leaves with a smile of their face. Don’t settle for less when you can hire the Best. 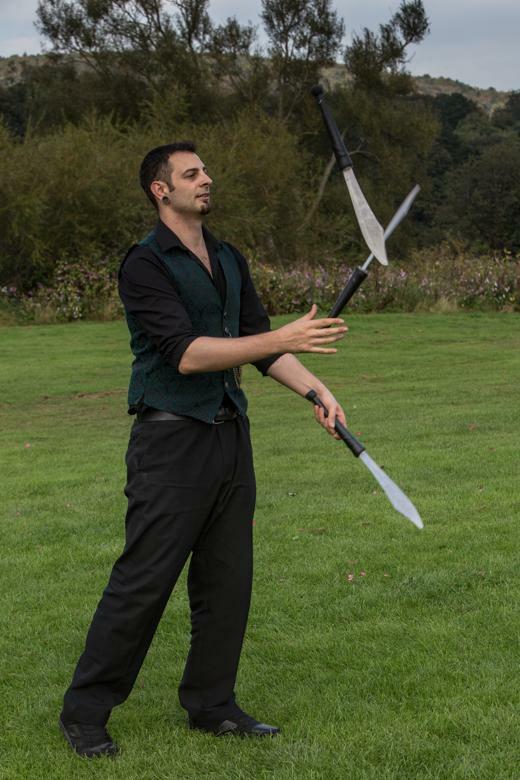 A favourite at corporate events, having travelled throughout Europe and internationally wowing audiences every step of the way – from weddings to festivals, private parties to conventions and everything in between. 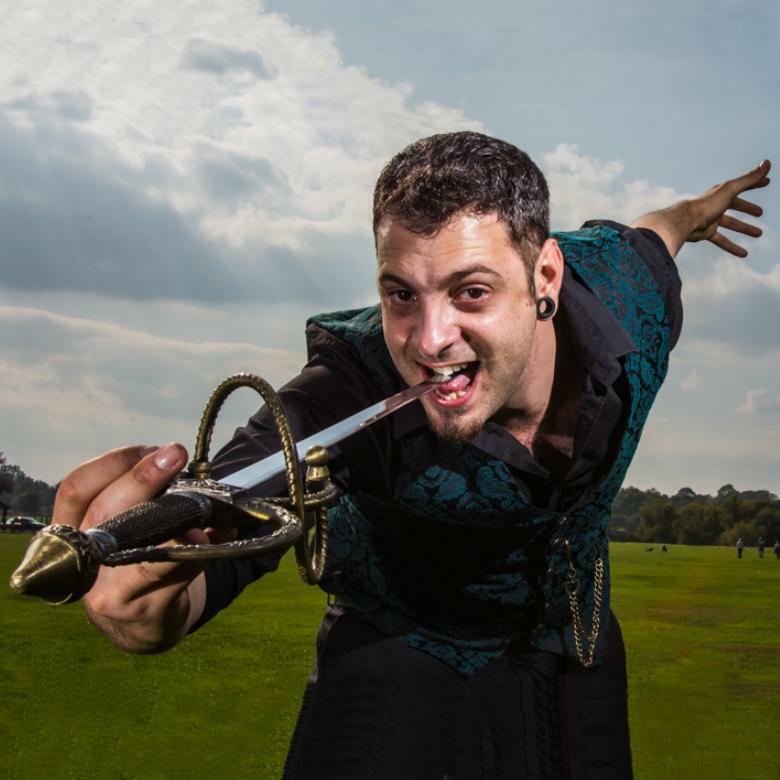 Johnny S provides great entertainment and can brighten up any event with his unique comedy styling fused with jaw dropping acts and superhuman feats. Johnny’s diverse performances can range from 5 to 45 minutes, filled with nonstop, outrageous entertainment. 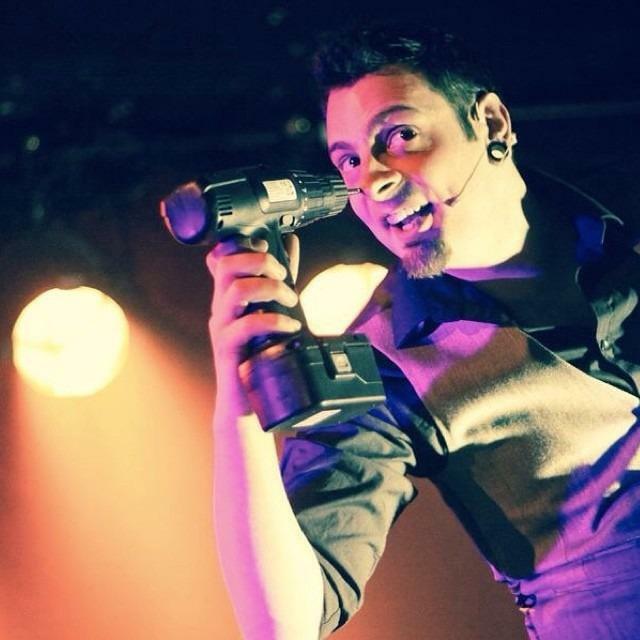 So if you are looking for an entertainer who will stand out and add something totally unique to your event then look no further, because he really does have to be seen to be believed! 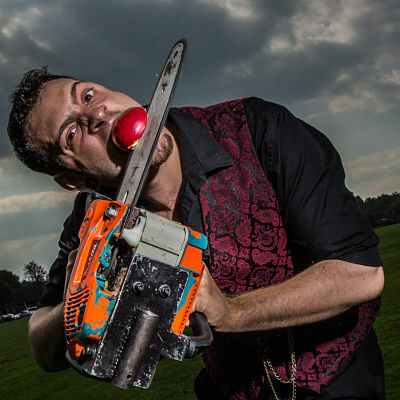 Johnny Strange is able to customise his acts to suit your event’s needs, providing an enjoyable brand of humour coupled with death defying acts of precision that are sure to leave a lasting impression. He also understands that some of his acts, at first, can be perceived as being too shocking, so baring this in mind, he presents everything in a charming and friendly manner, laced with jokes and designed to entertain and thrill rather than to shock and repulse. 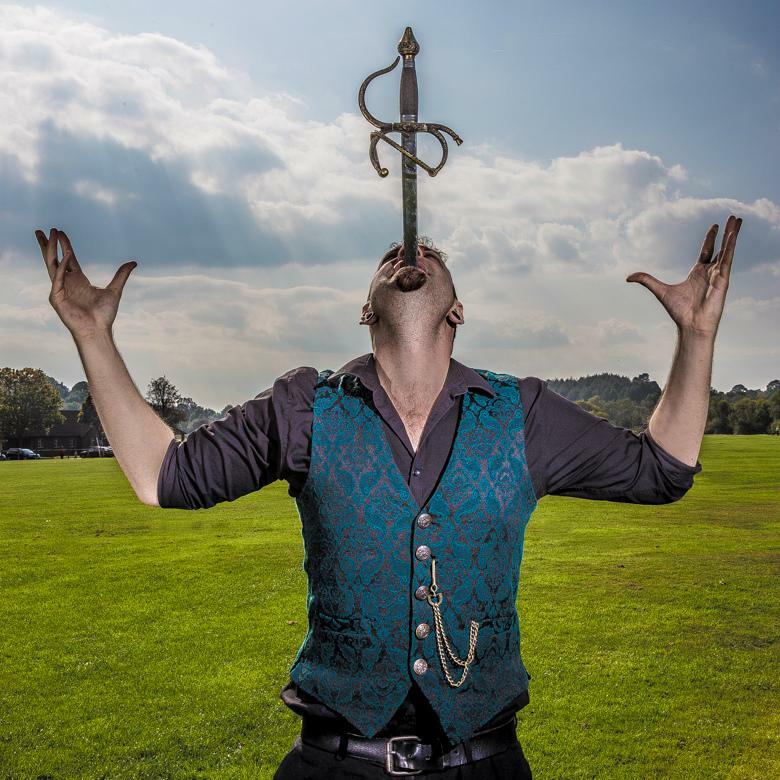 Sword Swallowing – including double edged blades, handless swords, wavy serpent swords and audience participation. 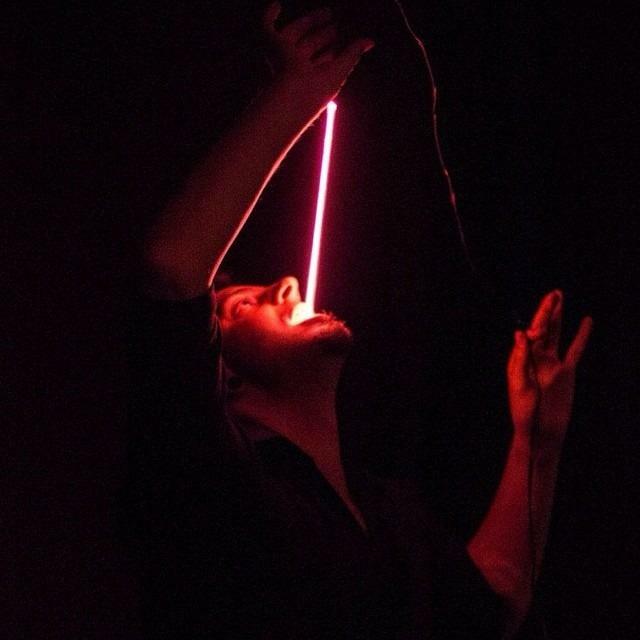 Neon Sword Swallowing – swallowing an illuminated 2000v glass neon tube. 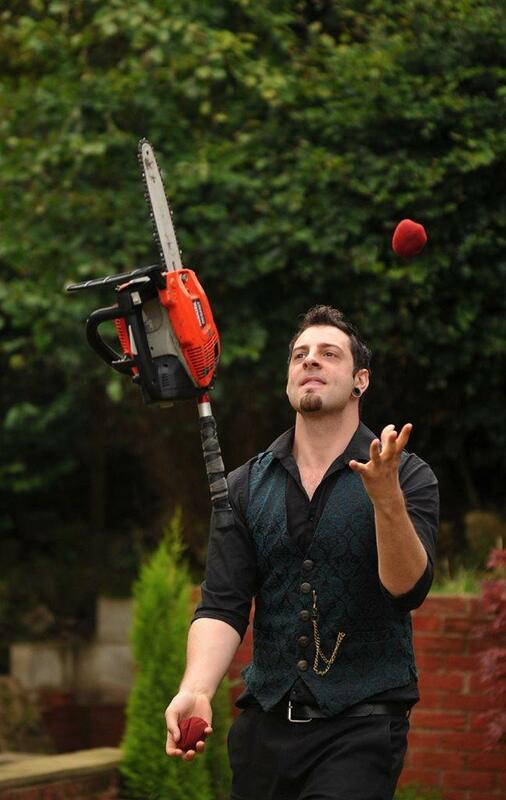 Knife juggling / Chainsaw Juggling. 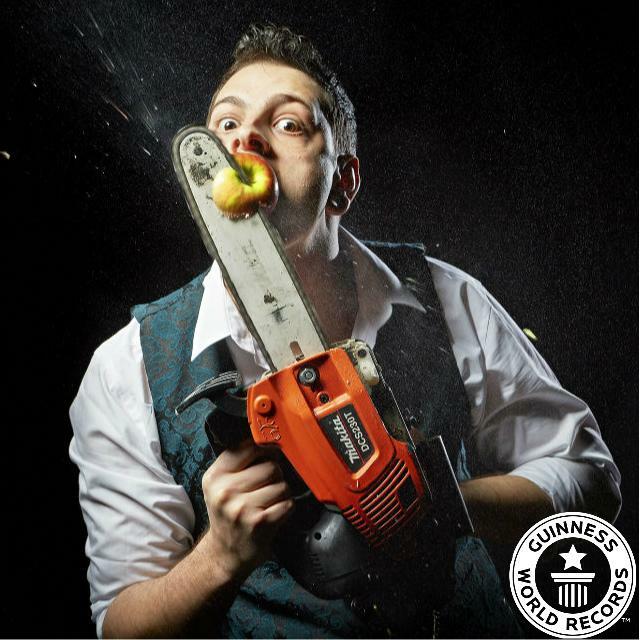 Chainsaw stunts – performing one of his Guinness World Record stunts by chainsawing an apple from his mouth. 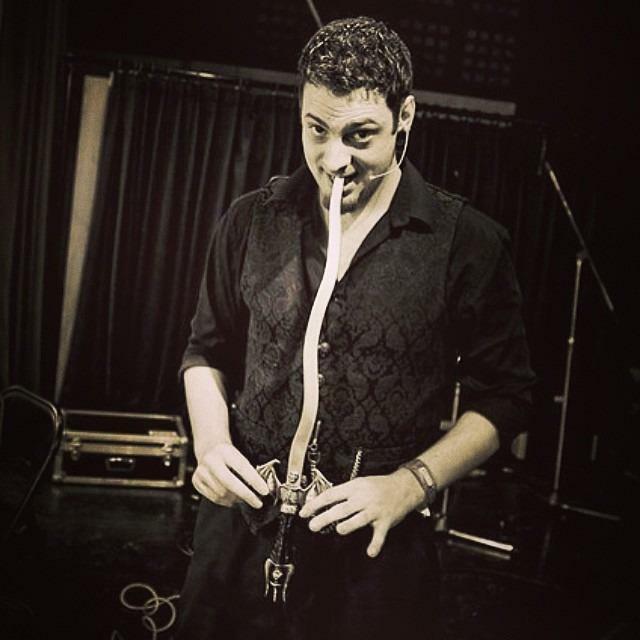 Target Whip Cracking – a whip show with a difference, splitting targets placed in his mouth or the mouth of a volunteer. 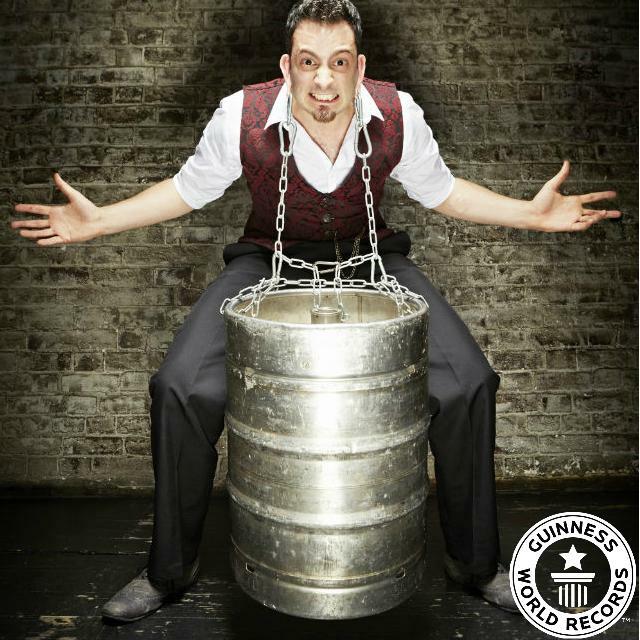 Pierced Weightlifting – performing one of his Guinness World Record stunts by lifting a beer keg from nothing but his ear piercings. Feats of speed – testing his speed against the reaction time of the steel jaws of a bear trap. 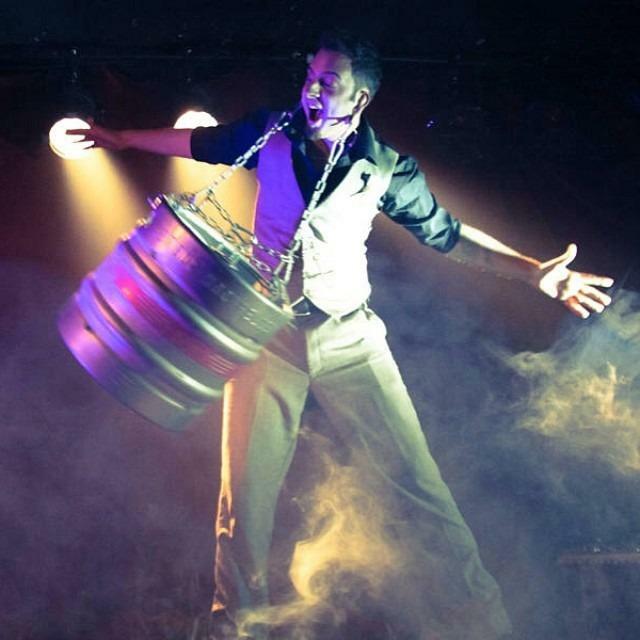 Escapology – escaping from police issue handcuffs, chains and straight jackets fastened by members of the audience. 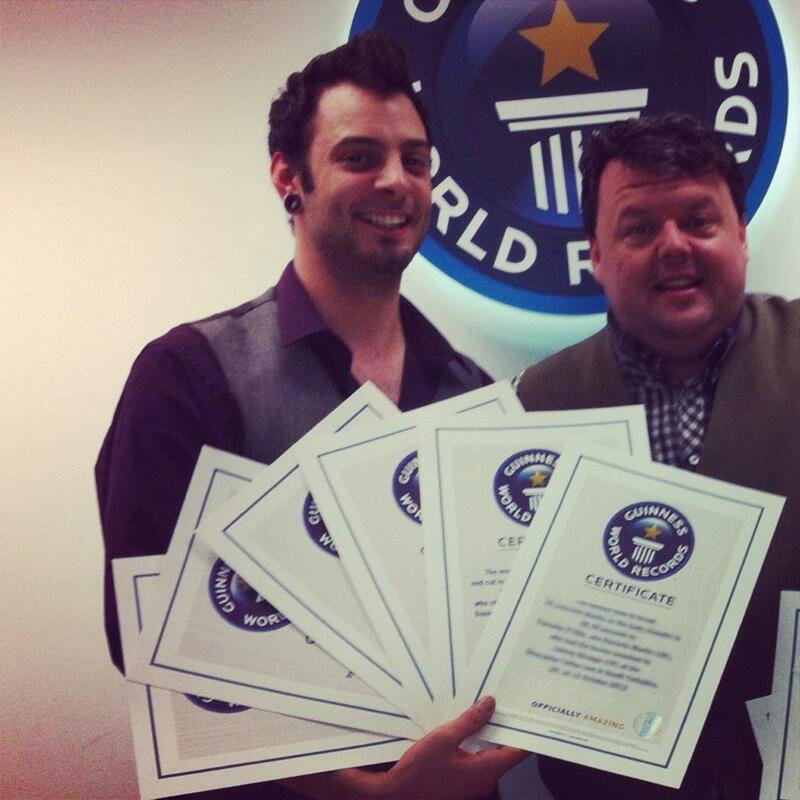 Guinness World Record live attempt. – The fastest time to break 16 concrete blocks on someone’s stomach with a sledgehammer. A PA system, minimum performance space of 2m x 2m. Not every act is suitable in every venue, for this reason some acts may be altered. 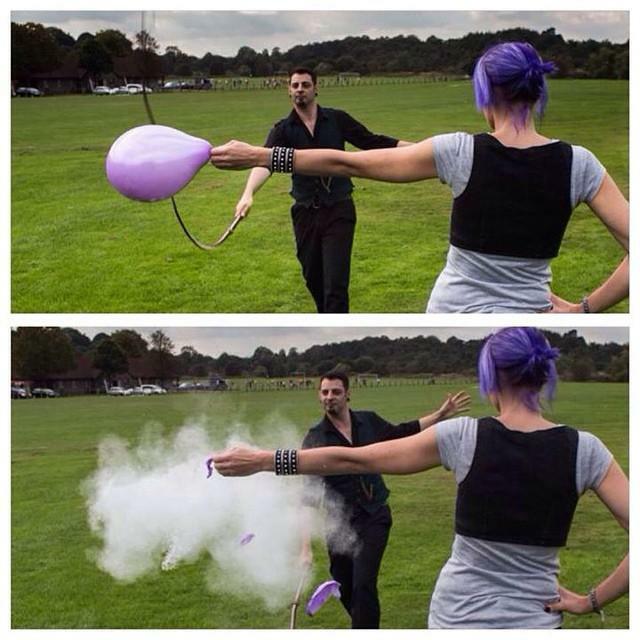 If you specifically require a certain act, please specify when making an enquiry. It was an absolute pleasure to have Johnny Strange headline our festival. The King of the Sideshow is back, bigger and better than ever. Not shy of showing off his unique bodily talents, Mr Strange proceeded to swallow a variety of different shaped swords, and even a glowing neon tube, seen to full effect with the stage lights turned off.